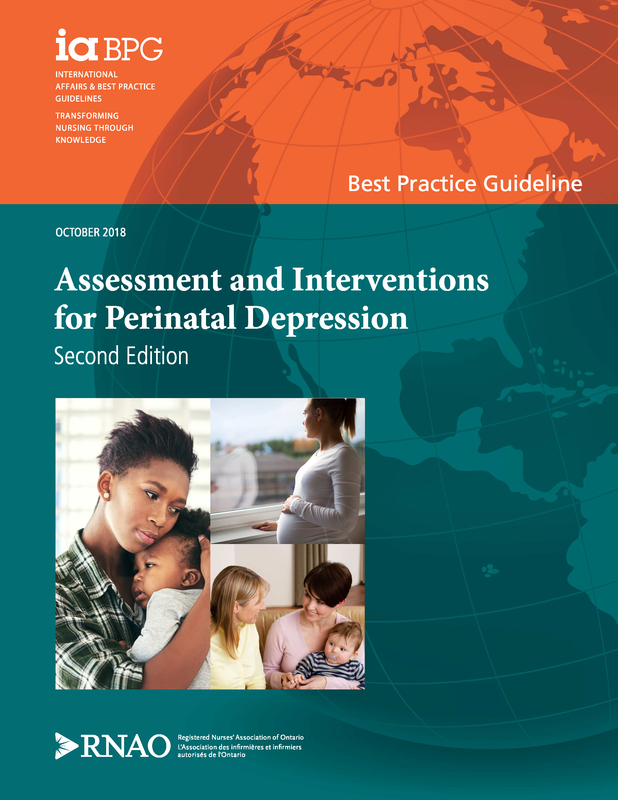 The focus of this guideline is on the screening, assessment, prevention, interventions and evaluation of persons with depression symptoms during pregnancy and in the first year following childbirth. Practice recommendations relate to the screening and assessment of depression symptoms and include the implementation of effective preventive and non-pharmacological treatment interventions, including those focusing on psychosocial and psychological supports. Education recommendations include ongoing professional development to enhance nurses and the interprofessional team's knowledge and skills in mental health services and supports for perinatal depression. 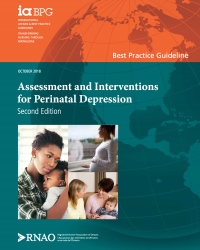 Organization and system policy recommendations have been developed to address the importance of comprehensive and coordinated mental health services and supports for perinatal depression to support care strategies provided by nurses and the interprofessional team. In the area of perinatal mental health, what are effective screening and assessment strategies for identifying symptoms of depression during pregnancy and postpartum for up to one year after childbirth? In the area of perinatal mental health, what are effective interventions for persons experiencing depression during pregnancy and postpartum for up to one year after childbirth? What education and training in perinatal depression are required to ensure the provision of effective assessment and interventions among nurses within the scope of their practice? How do health-care organizations and the broader health-care system ensure optimal prevention, assessment, and interventions for perinatal depression? "I needed help, so I reached out to my family and friends. Once I admitted I was struggling, the support poured in." Registered nurse, Lhamo Dolkar talks about her experiences dealing with postpartum depression with the birth of her fourth child.